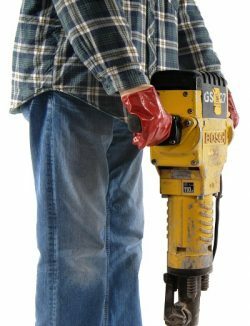 Hand Arm Vibration is the name given to vibration exposure to the hands and arms of workers from power tools and machinery. Hand Arm Vibration Syndrome is the name given to the injuries caused by vibration exposure, many of which are painful, disabling and irreversible. HAVS, as it’s commonly referred to, affects the blood vessels, nerves and joints and over time can prevent people from being able to carry out certain everyday tasks. The Control of Vibration at Work Regulations 2005 covers Hand-Arm (HAV) and Whole-Body Vibration (WBV) and represents a formalised approach to human vibration risk assessment and control. The regulations are a specific guideline of instructions set out by HSE (Health and Safety Executive), which, when followed, will enable you to manage vibration exposure in the workplace and lead your business to compliance. This guide will review the major points of the regulations, looking at the most common issues that arise as well as lending our industry expertise to different scenarios to try and make your job as easy as possible – but there is no substitute to reading the full regulations. However, you must be aware that simple compliance with the regulations doesn’t guarantee protection against personal injury claims. If any of your employees operate vibrating tools and equipment then you must assess the vibration exposure risk to your employees. Managing the risk of HAVS is a legal duty under The Control of Vibration at Work Regulations 2005, and neglecting to take action can lead to serious consequences for both the organisation and it’s employees. What are the health effects of vibration exposure? The most common health effect of HAVS within industry is Vibration White Finger (VWF), a debilitating condition that can often leave pain, tingling, numbness and a whitening of the fingers. As a result, workers are unable to carry out fine tasks and can eventually struggle to perform every day tasks such as buttoning up a shirt. Hand Arm Vibration (HAVS) is only ever caused by exposure to vibration and is entirely preventable, but once damage has occurred it is permanent. Part of the problem with the term HAVS is that it uses the word syndrome, which immediately makes it sound like an illness. The first thing to understand is that we’re talking about an injury – not a disease. Should we be providing health surveillance? Health surveillance is a must for any employees who are likely be regularly exposed above the Exposure Action Value (100 Points), despite your actions to control the risk. In addition, it’s important that you establish a baseline level with all new employees. This means finding out as soon as possible after employment what the current condition of someone’s health in relation to hand arm vibration is. The HSE break down vibration health surveillance in 5 tiers, do you know all 5? Did you know? Tier 3 of the HSE’s guide to Health Surveillance involves a health assessment by a qualified person using a range of health surveillance equipment. We’ve created a Health Surveillance Testing Kit which will provide you with everything you would need to carry out tier 3 of the HSE’s Health Surveillance guide. By law, employers need to measure the levels of vibration that their employees are being exposed to, as well as assessing the risk to their employee’s health from vibration at work. If your workforce operate power tools and machinery and it’s your responsibility to keep them safe, you will benefit greatly from attending our three day training course in managing Hand Arm Vibration. So how do I know if my workforce is at risk of vibration issues? If your employees frequently work with vibrating equipment and/or handle vibrating materials then it’s possible that you have an issue. At this point the most important thing you need to do is to carry out a Hand Arm Vibration Risk Assessment. Identify what you need to do to comply with the regulations and the law. E.g. 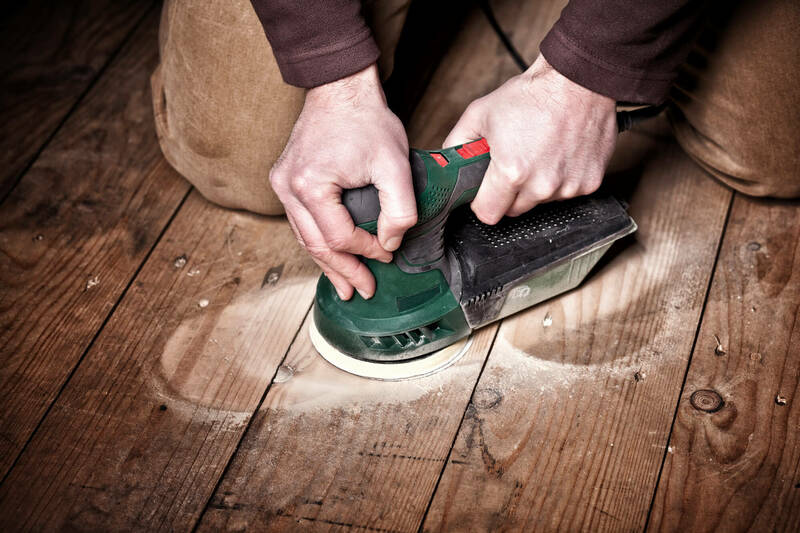 The law requires companies to assess the risk of injury from vibratory tools in the workplace. The two main elements you must monitor to achieve this are vibration exposure level and vibration exposure time. Vibration Exposure Level is the vibration magnitude level emitted from the the equipment your workers use, and therefore is the level that your workers are exposed to. Read on to learn how to find this number. Exposure Time is the length of time that workers are being exposed to vibration. Sometimes referred to as “trigger time”, it is not right to assume an eight hour trigger time from an eight hour shift. Read on to learn how to accurately monitor exposure time. You can learn more about the exposure action and exposure limit values in this short article. How do I find out the vibration levels of my tools? There are a number of different methods of finding the vibration levels of the tools that your employee’s use. Manufacturer’s in the EU are required to publish a vibration magnitude level but be wary of taking these as gospel. As you’re probably aware, tool vibration levels differ depending on the application and/or surface on which the tool is being used. Should we measure the levels of our tools? The most accurate way to determine the true vibration exposure that your employee’s are subject to is to measure the vibration levels of your tools. If you don’t measure the vibration levels of your own tools, it will be very difficult to defend against any personal injury claims should they go to court. If the vibration levels are not taking directly from the individual tools your employee’s are using in the work processes that they carry out, your data has little use. Is it difficult to measure our tools? With the right equipment measurements can be straightforwards, but because of the many variables in the measurement process you must be able to detect if readings are incorrect. This is where formal training can be an invaluable asset to any Health and Safety manager tasked with carrying out Hand Arm Vibration risk assessments. Can we pay someone to measure our tools for us? Certainly, some organisations office a service called Tool Testing where they can come in to your site for a half day / full day and measure all of your tools being used the in their normal work processes. After which you are provided with a report filled with all of the data you require for your risk assessment. Once again, be wary and do your research. If you’re comparing quotes from consultants and one is priced much lower than the others, try and find out why. What equipment should we use to measure our tools? When looking at investing in some vibration monitoring equipment, a vibration meter or vibration dosemeter, there are two distinct different types and it all comes down to the location of the accelerometer (the sensor which measures vibration). Vibration Meters with Tool Mounted Accelerometers are the traditional method of measuring tool vibration levels. 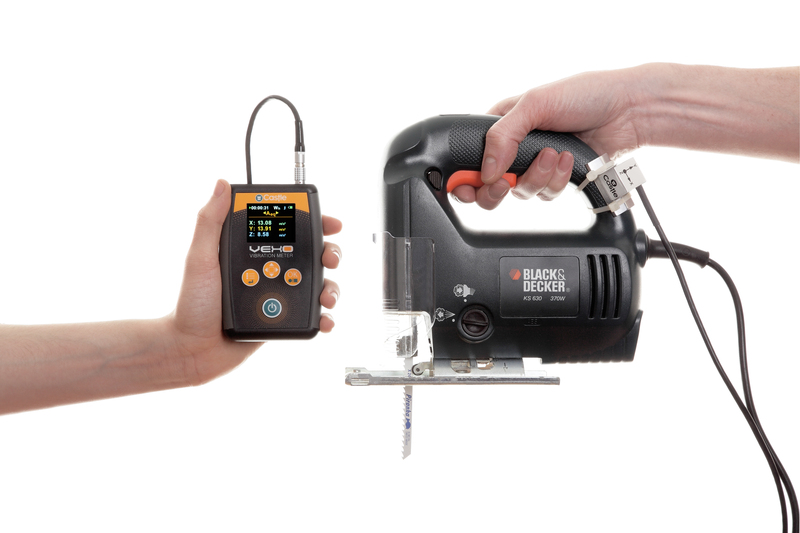 This type of vibration meter is made up of a hand held instrument where the tri-axial accelerometer resides at the end of a flexible cable, which allows for easy attachments to tools. Vibration Meters with Grip Accelerometers are more recent in the marketplace and have come about due to the advancements in MEMs technology, which has reduced the physical size of the accelerometer. 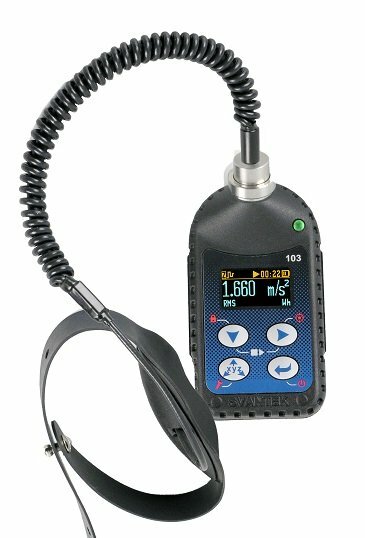 In this type of vibration meter the accelerometer sits around the hand of the operator, and is attached by a cable to a unit which is strapped around the operators upper arm. 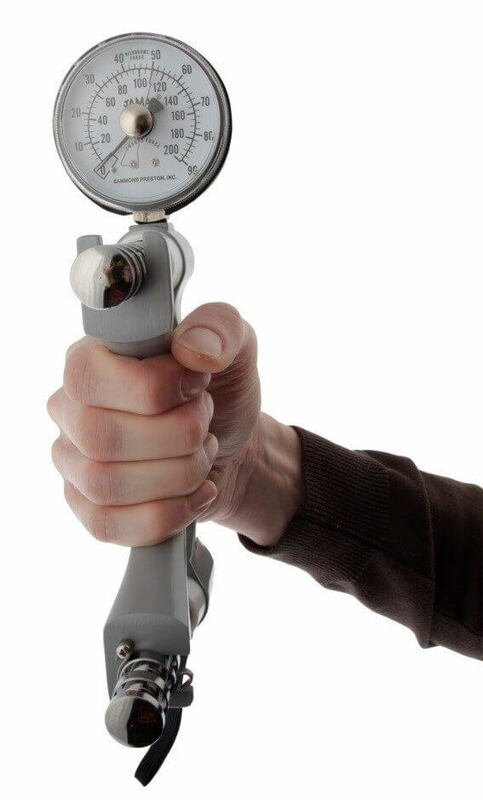 Hand held mounts are generally not recommended because measurements that aren’t continuously attached to the tool surface with an equal contact force are unlikely to provide reliable readings. As we’ve already discussed, determine the vibration exposure levels of your tools is only half of your battle. The other key issue is to determine the duration of which your workers are exposed to that vibration. Measuring employee’s exposure time to vibration is an essential part of a vibration risk assessment, but whether you do it manually with a stopwatch or automatically with a vibration exposure timer is a decision you need to make. These are clever devices that provide you with accurate and valuable data to help with your risk assessment, and there are a lot of different options available which are best suited to different types of organisations. 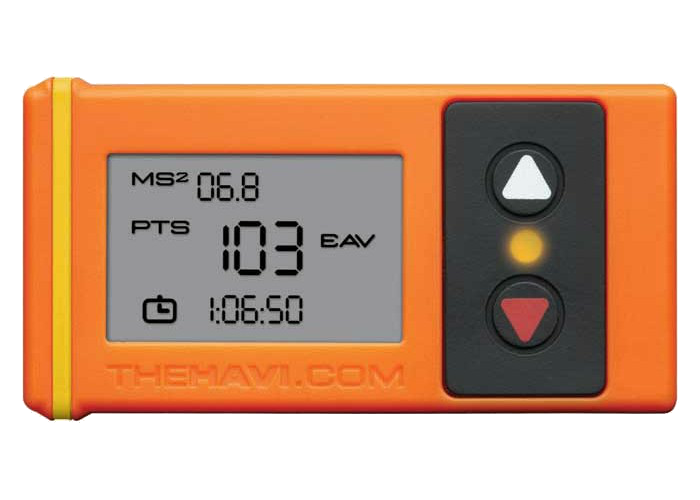 One of the UK’s most popular vibration exposure time is the HAVi, a small orange device which sits on the tool and start counting when it senses vibration. It’s important to remember that these devices do not measure vibration, but simply monitor when vibration is present. If you input the vibration magnitude of the tool into the HAVi, it will calculate the number of exposure points being accumulated and warn the operator when they are nearing and exceeding the EAV (100 Points) and ELV (400 Points). Each different type of vibration exposure timer has their own strengths and weaknesses, so your decision will be swayed by your budget, the number of tools your workers use and the types of tools your workers use. Read our quick guide to help you choose the right vibration exposure timer for your organisation. You may well have heard of some of the different types of vibration exposure timers, you can view and learn about many of them here. Only with both the Vibration Level and the Timed Exposure can you start to control Vibration Exposure using the HSE’s Exposure Levels. Are you up to date with the technical terms? Just like with any subject you are new to, there are industry used terms which you may not be aware of. If you’re used to dealing with Noise, Air Sampling, Electromagnetic Fields or any other similar subject you should be at an advantage as some terms have similar uses across these different issues. Start learning yourself or brush up your knowledge with our Glossary of Terms explaining the technical terms found in vibration.